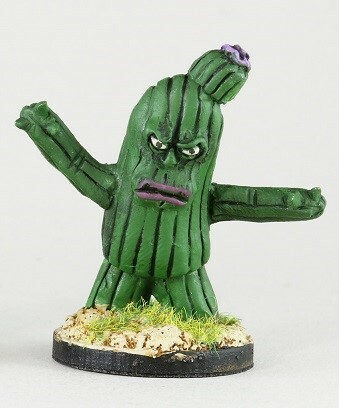 New Cactus Creatures from Pontoonier Miniatures! In the Monstrous Old West, folks expect dangers from Outlaws, Banditos and Renegade Sioux. Heck, they have even come to understand and protect themselves against vampires, ghouls, zombies and a host of other unpleasant creatures who call the towns of the Old West their home. However, no one expects to be attacked by a cactus while out for a leisurely ride...well, they should! 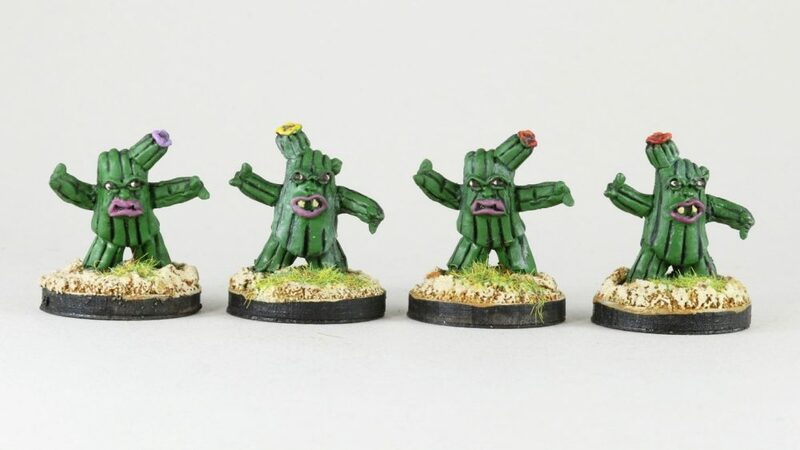 Pontoonier Miniatures continues to expand the largest range of Old West Monsters, monster hunters and monstrosities on the market with this offering of 28mm metal living cactus monsters. These creatures come in three sizes from the large solitary bear-sized "Stabbers" to the milling man-sized "Stickers" to the diminutive "Prickers" that attack in frenzied, piranha-like mobs. This entry was posted on Wednesday, April 25th, 2018 at 16:36 and is filed under News. You can follow any responses to this entry through the RSS 2.0 feed. You can skip to the end and leave a response. Pinging is currently not allowed.